Fighting Aggressively for your defense. Focused Criminal Defense When defending against criminal charges, the outcome of the case is largely determined by the knowledge, determination and focus of the defense attorney. The consequences of a conviction are too dire. It is essential to work with a lawyer who is focused on criminal defense. Des Moines criminal defense lawyer Sean Spellman of Spellman Law, P.C., has focused on criminal defense matters throughout his legal career, including two years working as a public defender, handling felony-level offenses in Polk County. This focus allows him to stay current on the changing criminal laws and stay on top of his clients' cases. Attorney Spellman defends Iowa clients charged with: OWI/DUI Drug crimes Federal criminal offenses Felonies/white collar crimes Traffic violations As a lawyer focused only on criminal law matters, attorney Sean Spellman will provide you with advice and counsel, defending you in a manner that will help you avoid jail, prison, excessive fines or a tarnished reputation. The sooner you call, the more Spellman Law, P.C., can do to help you get the best outcome possible in your case. Client-Centered Service Another important aspect of the representation provided by Spellman Law, P.C., is client-centered service. For most people, facing the criminal justice system is a frightening event. It is important to work with an attorney who returns calls and remains in contact throughout the process. In his representation of clients, Sean Spellman emphasizes: Honest assessments: Some lawyers tell their clients just what they want to hear. We believe that our clients benefit more from the truth. We will give you an honest assessment of your case, so you can make intelligent and informed decisions. Aggressive advocacy: We fight for and defend the rights and interests of every client at each stage of every proceeding. Client communication: Every client and every case is different. We give each client individualized attention, returning calls and making sure each client knows and understands what is happening in his or her case. Iowa DUI/OWI Charges Lawyer Flexible Scheduling Spellman Law, P.C., makes every effort to work within its clients' schedules. Attorney Sean Spellman will make evening, weekend and in-home appointments as necessary. Call our Des Moines office or e-mail us to schedule a free initial consultation. OWI/DUI Defense Against Drunk Driving Charges In Iowa, drunk driving is called operating while intoxicated (OWI, often called DUI). This is a serious offense. Even though people from all walks of life with no criminal history make the mistake of driving under the influence, the state of Iowa prosecutes OWI aggressively. If you have been charged with OWI, you need an aggressive attorney who can walk you through the legal process and defend you against these charges. At Spellman Law, P.C., we limit our practice areas to OWI and other criminal defense matters so that our clients get the most focused representation possible. Sean P. Spellman, our Des Moines OWI/DUI defense attorney, will give you an honest assessment of your case and defend you from OWI charges. The OWI/DUI Process We will handle all aspects of your drunk driving case, from the free initial consultation through the trial and administrative hearings. Most OWI cases look something like this: Step 1 Filing for an appeal with the Iowa DOT: If you have been charged with an OWI, the Iowa Department of Transportation allows you to file for an appeal of your driver's license revocation within 10 days. If an appeal is not filed with the DOT, your driver's license revocation will commence at the conclusion of the 10 days. Step 2 Preparation for criminal trial: We will look at the severity of the offense (which is determined in part by whether it is a first, second or subsequent OWI offense), the nature and circumstances of the stop that led to the charge, and the investigation itself. We will explore all the reports, videos and Breathalyzer calibration logs looking for any way to minimize or invalidate the charges brought against you in preparation for trial. Step 3 Criminal trial and administrative hearings: We will handle every aspect of your criminal trial and the corresponding DOT administrative driver's license hearings. Complicated Cases OWI cases are very technical. Our founding attorney Sean P. Spellman has experience finding constitutional violations and other ways that arresting officers fail to comply with the law. We can help you get your charges dismissed or at least reduced. Contact Iowa Drunk Driving Charges Lawyer 515-223-4DUI I am a member of www.1800DUILAWS.com, a complete DUI/DWI resource for people who have been arrested for DUI/DWI in Iowa. This comprehensive site has the information you need to better understand how a DUI/DWI case works its way through the system, and to research me and my qualifications as a DUI/DWI attorney. For more information about Iowa DUI/DWI laws, or for more information about me, please see www.1800duilaws.com. Sometimes a little bit of knowledge can go a long way to ease your concerns after receiving OWI charges. Call our office or e-mail us for a free consultation with a lawyer to discuss your case. The most pressing questions we receive from our clients who are facing traffic violations involve their driver's licenses. No one wants to lose a driver's license, even for a short period of time. We depend on that license to live a normal life. Especially for commercial CDL drivers, that driver's license is crucial to your life and livelihood. This is why one of the chief areas of criminal law practice for our Des Moines traffic violations attorney Sean P. Spellman is traffic and DOT violations defense. We help Iowa clients keep from losing their driving privileges. Types of Traffic/DOT Violations We Handle We can represent you in a wide variety of traffic violations cases involving issues like: Serious or major traffic violations Department of Transportation (DOT) driver's license revocations proceedings Commercial driver's licenses matters, including license revocation defense Hit-and-run Speeding tickets/moving violations Habitual offender violations Driving while revoked/driving while suspended/driving while barred Probation violations We also handle habitual offender violations. If you have committed serious traffic violations repeatedly, you are considered a "habitual offender," which brings severer consequences than single infractions. We can help defend you against these charges. Another area that we have experience in is work permits. We can help you get a "temporary restricted license" (also known as a TRL), which will give you permission to drive to and from work, even though your driver's license is otherwise revoked for other purposes. Free, Confidential Initial Consultation We know that your confidentiality is important, so we offer an initial consultation in a free and confidential environment. You can talk with a lawyer free of charge, to learn more about your case and your legal options. Contact a Iowa Speeding Tickets Defense Lawyer To schedule your free initial consultation, call our office or send us an e-mail. At Spellman law we specialize in drug crimes, federal criminal defense, felonies/white collar defense, and issues of illegal search and seizure. DRUG CRIMES Defending Your Drug Charges Drug charges are serious business in Iowa. There are many complicated aspects of drug charge legal defense, especially the issues of constitutional search and seizure. You need a lawyer who can fight for you if you are charged with marijuana or other drug charges a local attorney who knows this area and knows the law. 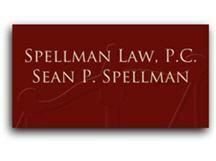 Sean P. Spellman, the founding attorney of Spellman Law, P.C., has lived in the Des Moines area his entire life. He is a Des Moines marijuana possession defense lawyer who will fight for your defense against drug charges. We put our clients' needs first, always working with the client to come up with the best defense strategy. We know how to handle the complicated aspects of drug charge defense. Charges Involving Marijuana and Other Types of Drugs Whether you were charged with a drug offense involving marijuana or other drugs, we can help. Marijuana Some of the most common marijuana-related offenses include: Possession of marijuana: This is the charge you receive for simply having marijuana on your person or in your home. Possession of marijuana with intent to deliver: This offense is charged when the quantity of marijuana you possess, coupled with surrounding circumstances, exceeds a certain amount. Tax stamp violations: If you possess marijuana in excess of 41.5 grams, the state will add the charge of class D felony failure to affix an Iowa state drug tax stamp. Other Drug Charges There are many non-marijuana related drug offenses, involving drugs like: Cocaine Methamphetamines Prescription drug violations Prescription drug violations can include fraudulent prescriptions and misuse of drugs like OxyContin, Vicodin, Xanax, Benzedrine and others. Attorney Sean P. Spellman has experience working in Polk County and throughout the state of Iowa, handling many felony-level offenses. We can represent you in federal or state court. We Can Help You Even Before You Are Charged "Most people think that there is nothing a criminal defense lawyer can do before formal charges are issued. This is wrong. Contact us as soon as you know you are being investigated. We can help you avoid incriminating yourself and help keep you out of jail." Sean P. Spellman, founding attorney Contact Iowa Prescription Fraud Charges Attorney We can help you stay out of jail. Either call our office or send us an e-mail for a free initial consultation. FELONIES/WHITE COLLAR OFFENSES Serious Defense Against Serious Charges Felonies and white collar offenses are serious crimes carrying particularly harsh penalties. In these types of cases, it is especially important to engage counsel who will conduct a thorough and independent investigation with close attention paid to each and every detail. If you are facing these charges, your attorney will need to access and utilize resources to mount a successful defense, including well-qualified and credentialed witness and experts. Des Moines white collar crime defense lawyer Sean P. Spellman has experience in private practice handling felony-level cases at the state and federal levels at all stages of your case pre-arrest, investigation, and trial. At Spellman Law, P.C., we have the resources to defend you against felony crime charges. Felony Defense We have experience handling many types of felony-level offenses, including: Assault Burglary Robbery Domestic abuse-related offenses Felony drug charges "I have handled felony trials both as a public defender and in private practice. One thing I have learned is that these cases are much more complicated than other criminal defense matters. Do not underestimate the importance of hiring the right lawyer for your criminal defense. Contact us for a free consultation." Sean P. Spellman, founding attorney White Collar Crime Defense We also have experience defending clients against white collar crime charges like: Embezzlement Fraud Computer crimes Identity theft We know the importance of confidentiality when dealing with white collar crime charges. Your reputation could be ruined. We have experience handling these cases, and we will handle our work with the utmost respect for your confidentiality. Iowa Domestic Violence Charges Attorney Flexible Scheduling We can work with you during evening and weekend hours. We also offer in-home consultations if needed. Call our office or send us an e-mail to schedule a free consultation with an attorney. Des Moines Illegal Search and Seizure Lawyer Defending Your Rights Even when you have been arrested and charged with a crime, you have rights. There are strict limitations on what the police can and cannot do when it comes to searching your home, your car and your person. Des Moines illegal search and seizure attorney Sean P. Spellman can help defend your rights.